Master Index is an official plugin that adds a new quest to find all ten Propylon Indices. The quest can be started by talking to Folms Mirel at the Guild of Mages in Caldera. 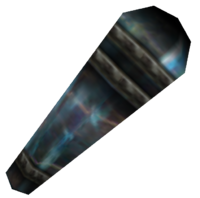 Completing the quest will earn you the Master Propylon Index, which allows for easier transport via the propylon chamber system. This page was last modified on 19 October 2018, at 21:09.